England coach Eddie Jones can use his Australian upbringing to outwit the All Gold’s challenge Down Under. That is the view of legend Ben Kay who was famously a massive part of the victorious England 2003 World Cup team. 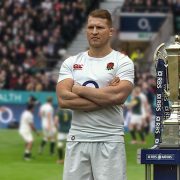 The former Leicester star, who is amazingly self-deprecating about “dropping that pass” which would have settled victory over Australia without the necessity of extra time and the famous Jonny Wilkinson drop goal, revealed his confidence about our chances in the three Test series as he spoke exclusively to our very own John Duckers at a charity event. He said: “I am a big fan of what Eddie has done since taking over. “However the public perception that he has changed everything is wrong. He has come in and generated belief. He controls the agenda at press conferences and talks about what he wants to talk about. He is creating a great winning environment which Australians do so well. “For example, he goes on about how the boys need to be 30 per cent fitter. That is never going to happen. But if everyone else thinks that way it is half the battle. England, he insisted, had the players available even though Jones had joked about our dodgy history against Australia on their home turf – “we’ve won three tests since Captain Cook arrived, so it’s not a great record”. Kay highlighted Northampton’s Teimana Harrison as possibly playing a pivotal role in the back row as the series goes on. The New Zealand-raised 23-year-old, eligible through his Derby-born father, won his first cap in the recent “friendly” win over Wales. 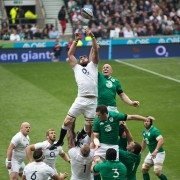 Kay, who reckoned Harrison was man of the match, said: “Jones is set to go with the Six Nations back row for the first Test. But if any of their form dips I think you will see Harrison in there. 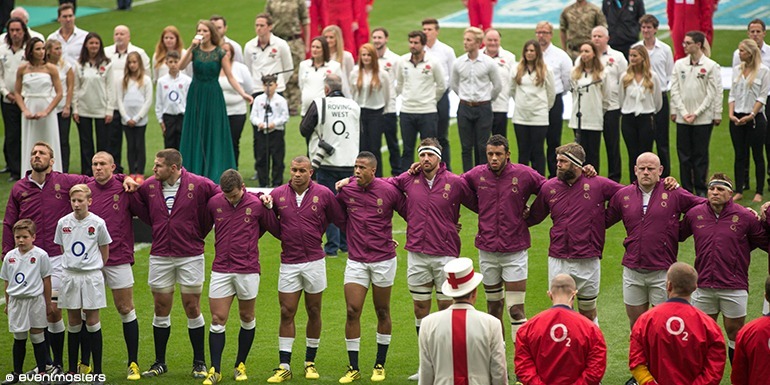 Other teams almost picked themselves but it was more complicated for England. Speaking ahead of a hugely amusing speech to Bournville Rugby Club’s 4th Annual Sports Luncheon in the Burlington Hotel, he went on: “Australia is a great place to tour. Jones, said Kay, was comfortable about “the guys going out for one or two beers” at the right moment. Acknowledging how competitive the Australians were on their own patch, with England going there after a long and fatiguing season, he insisted that could not be regarded as an “excuse”. Getting into the England team was the “ultimate” and players had to respond, he stressed. England play for the Cook Cup in Brisbane (June 11), Melbourne (June 18) and Sydney (June 25).